I have enjoyed racing with GWR for the last two years but decided it was time to build my own car. Being a big Mitsubishi fan, I looked there first. I considered running a 1G or 2G DSM, but decided to avoid them due to their heavy, unbalanced FWD/AWD platform. 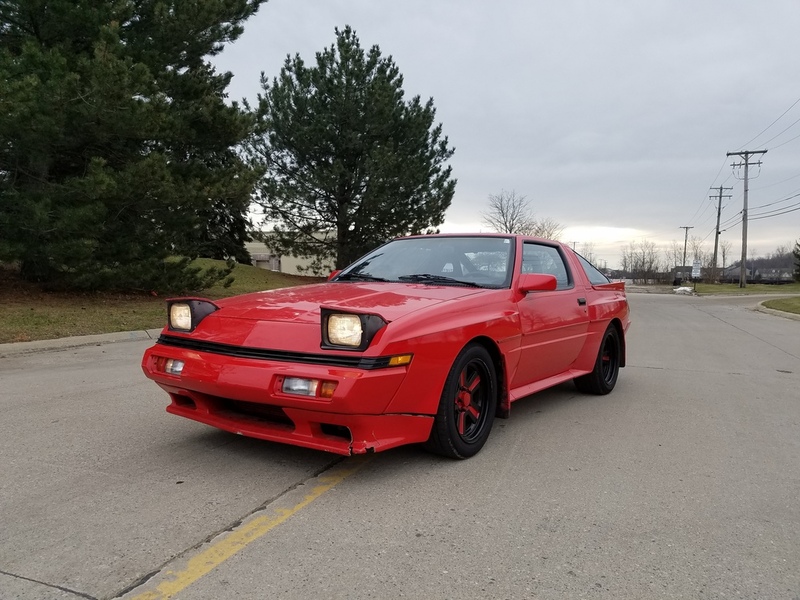 I wanted something that was RWD, had a good potential for power, wasn't too heavy, had a LSD, could fit wide tires on it, and had a large fuel tank. With that criteria, the Starion/Conquest became the obvious choice. 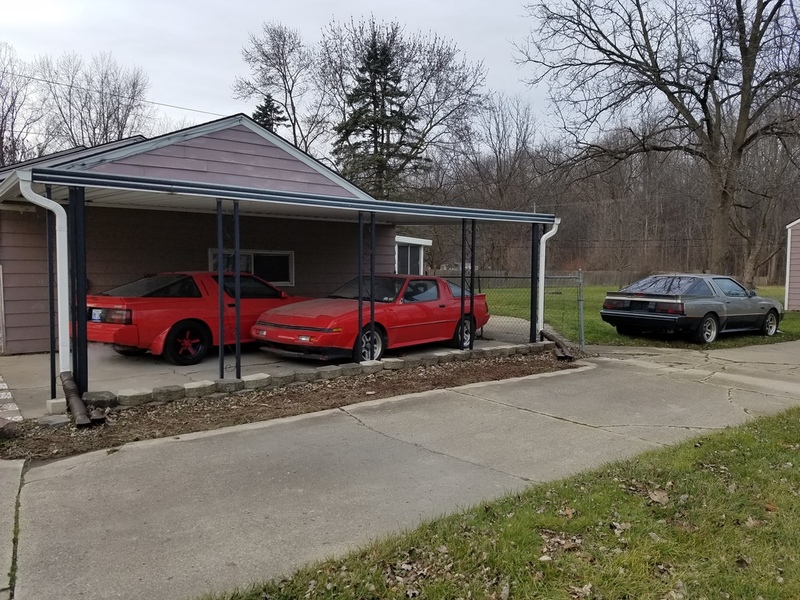 Even though Chumpcar is supposed to be "real cheap racing", road racing and endurance racing is still expensive and building one of these cars can be difficult on your own, so I decided to team up with one of my friends from college who recently moved to the area. Together we formed ScribeWorks Motorsport and started looking for the candidate car. 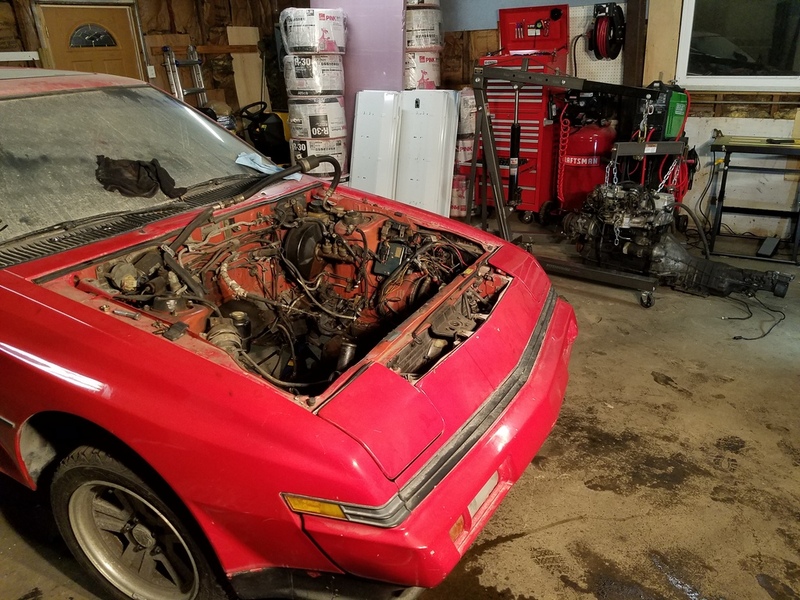 The first car we found was an 88 Conquest in Flint, MI that was running, but had a notchy transmission and a bit of a rust problem. The car was affordable for a running car, so we decided to buy it as a parts car. Due to the rust issues, we didn't want to make this the race car chassis. The next car we acquired was from Rochester, NY. 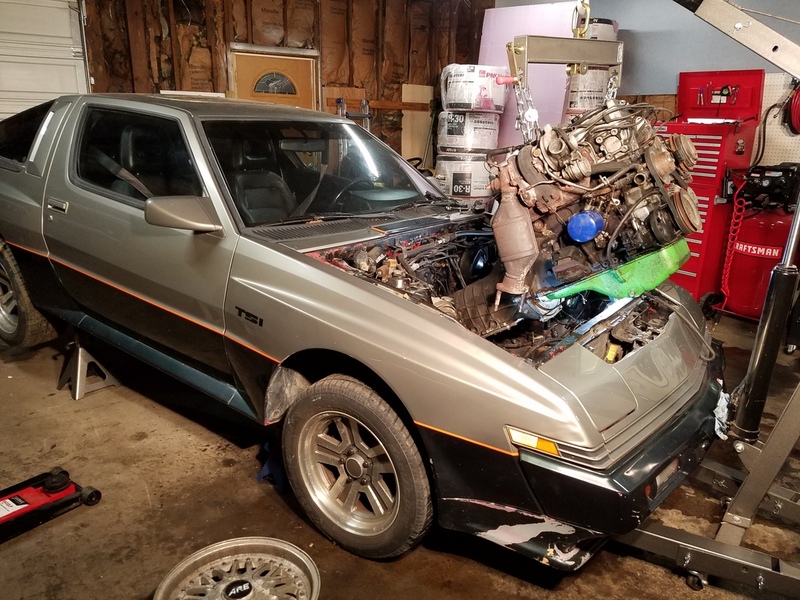 It was a rust-free 88 Conquest that wasn't running but came with a bunch of spare parts. 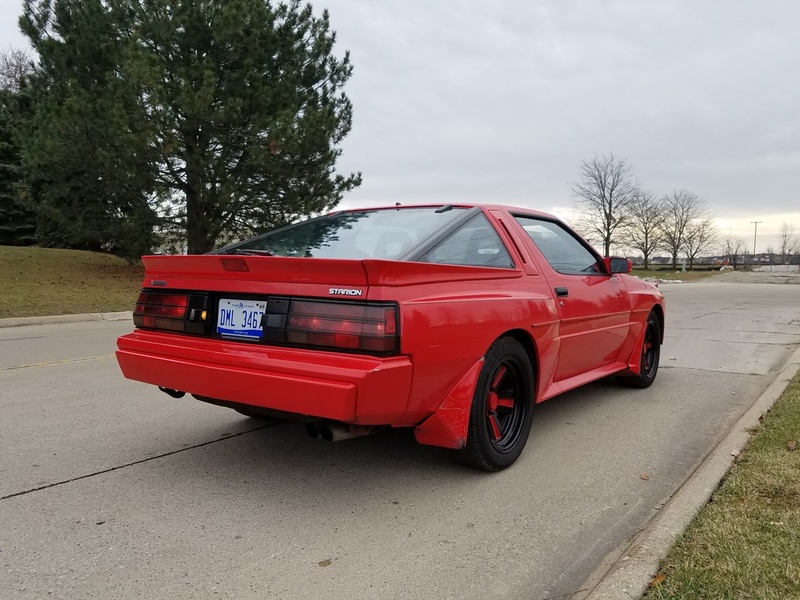 We were going to use this car as the race chassis until I found a very nice 88 Starion in Chicago that was 99% rust free and was being sold for a great price. 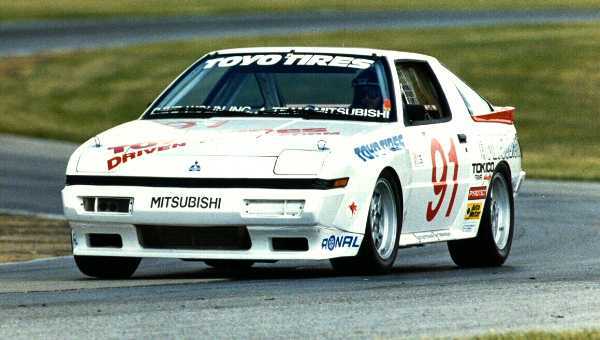 Being a big Mitsubishi fan, I was really happy that the car we were building was actually a Starion. 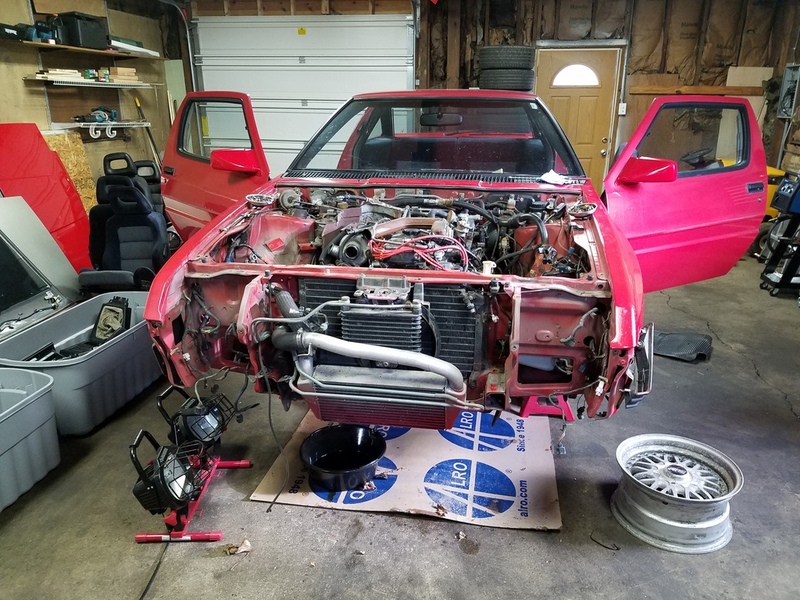 The rest-free 88 conquest will be kept as a spare chassis if the original car was ever wrecked bad enough to warrant a new chassis. 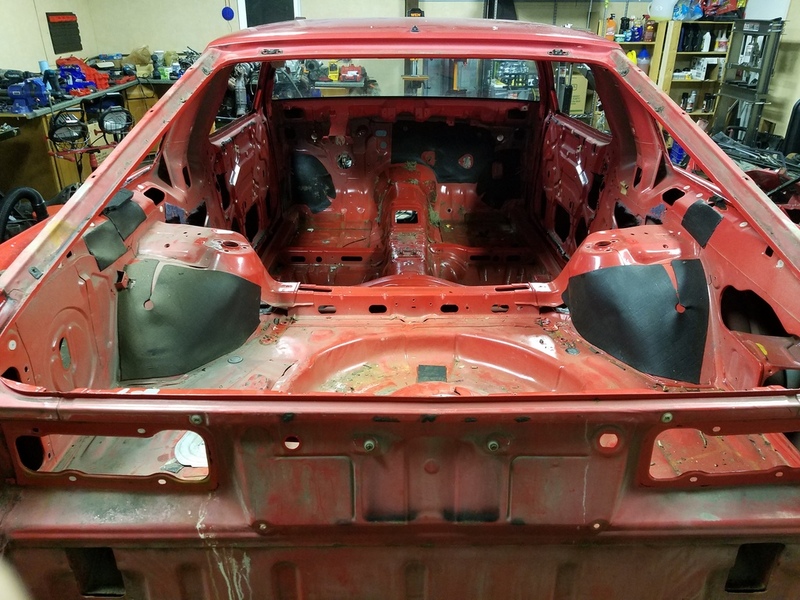 We are currently working on removing all of the sound deadening, seam sealer, and undercoating. We will be sure to update you guys on our progress! Edited by Scribe, 10 April 2018 - 07:52 AM. I will now go through some of the baseline work we did, as well as go through some of the planned modifications. Yes, that is a 16.9 @ 80 mph. The magazines from the 80's said she should do a 16.5, which I think may have been possible if I didn't screw up the launch so much. 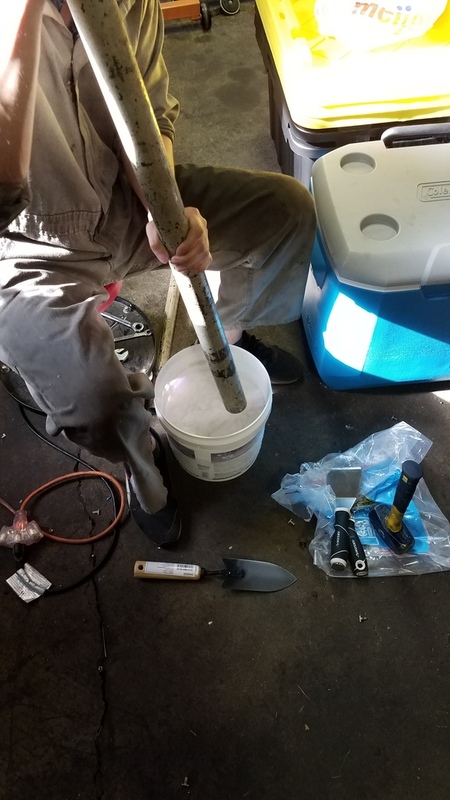 I only did one run as I didn't want to blow the thing up before we started the build. 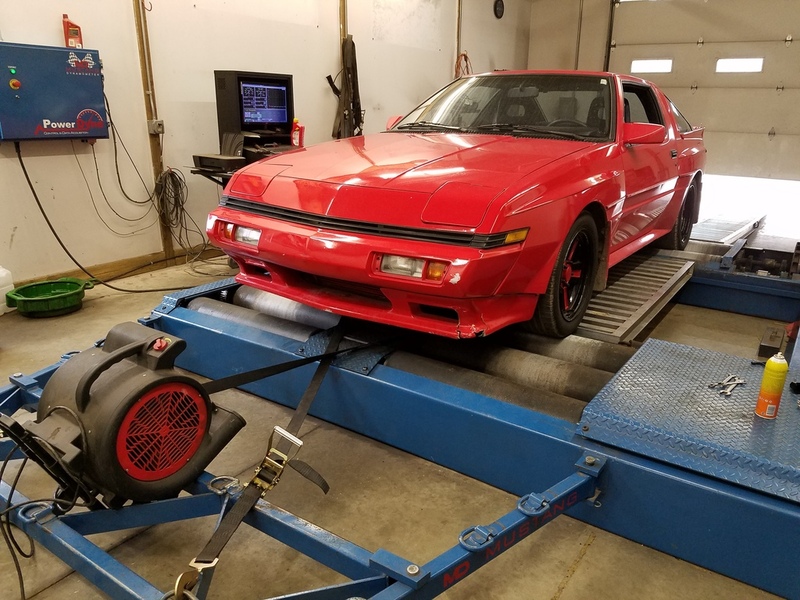 A few months later we took the car to Force Engineering out in Plainwell, MI to get baseline horsepower and torque numbers on their Mustang dyno. 151 WHP and 205 WTQ!!! This should be at the stock boost level of 10 psi, which we were not able to confirm as the dyno's map sensor was not working. We were able to get AFR, which is shown at the bottom of the graph. 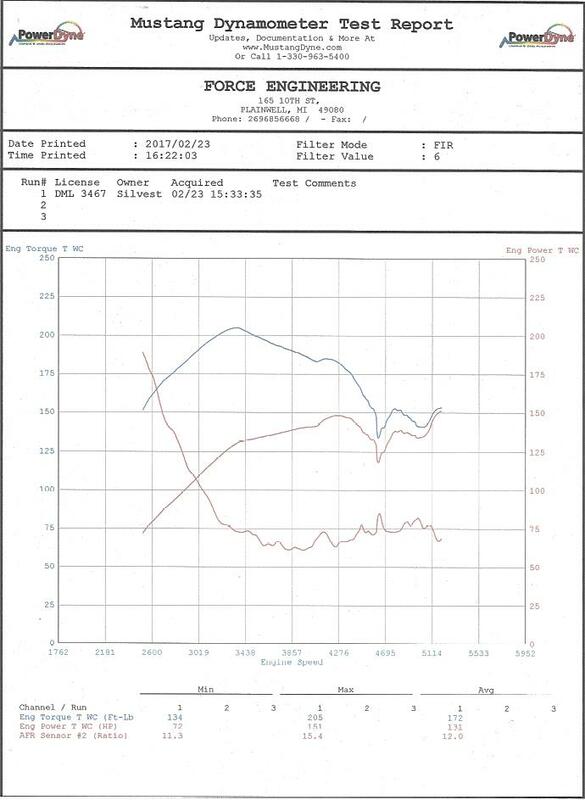 The first three runs were within 3 hp of each other, but as you can see from the dyno graph above, we were having issues with it stuttering at high rpms. 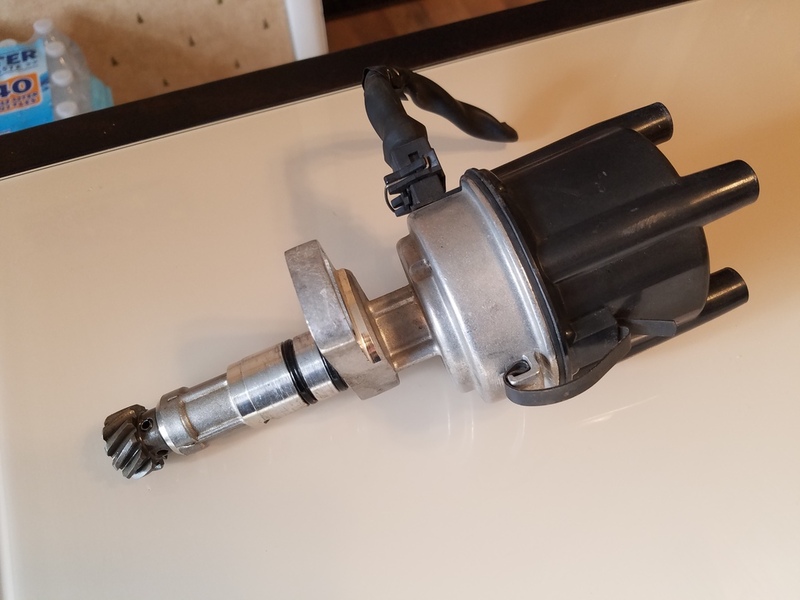 It didn't seem to be ignition related as I had recently replaced nearly every ignition component on the car and it seemed to run smooth through the whole run. It seemed to just stop revving for a brief bit of time and then continue. We thought it may have been knocking, so we dialed the timing back a couple degrees and lost around 10 hp. We dialed the timing back even more and lost another 10 hp. We then unplugged the knock sensor to see what would happen and it lost another 10 hp, so we were left with about 120 WHP at the end of the day. Thinking about it afterwords and doing a little of research, we think it may have been either a TPS or MAF issue. 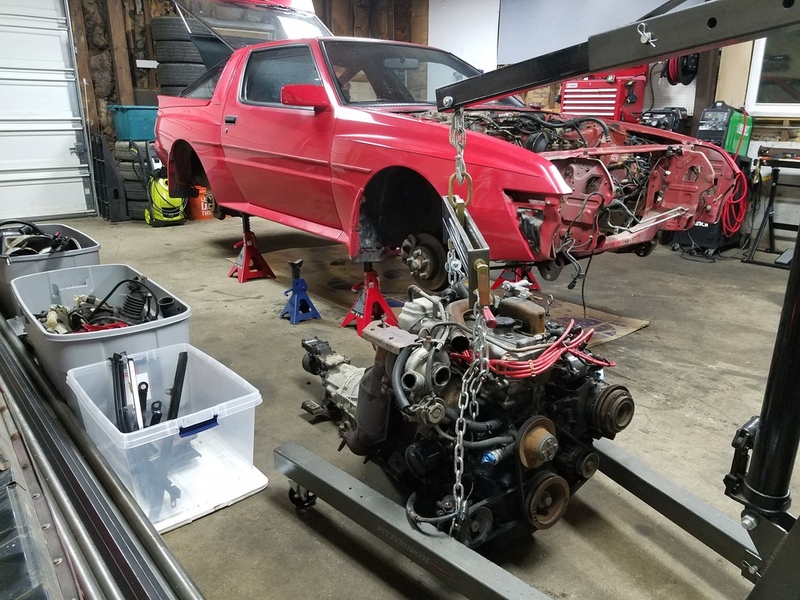 Either way, we will be building a fresh engine for the race car as well as going through any of the problematic sensors on the car and replacing them as needed. As you can see, she is a bit front heavy. Shifting as much weight as possible to the right rear will be very important to balancing things out. One easy adjustment will be to relocate the battery to the right side of the trunk. We will also be putting the fire bottle in the back right and we might have a few other tricks up our sleeves. Regardless, I feel we have a bit of a weight problem overall and we will be sure to address it throughout the course of the build. The goal is to get the car in the 2100-2300 lb range without the driver. As you can see, the Chumpcar rules allow for a lot of modifications for little to no points. With everything included above, the point total comes to 490 points, which gives us a 10 point buffer for future modifications and rules changes. All of the aerodynamic upgrades will most likely be done in the off-season early next year. Everything else we hope to have finished this year for the Chumpcar VIR 8+8 race in December. Edited by Scribe, 03 July 2017 - 02:08 PM. 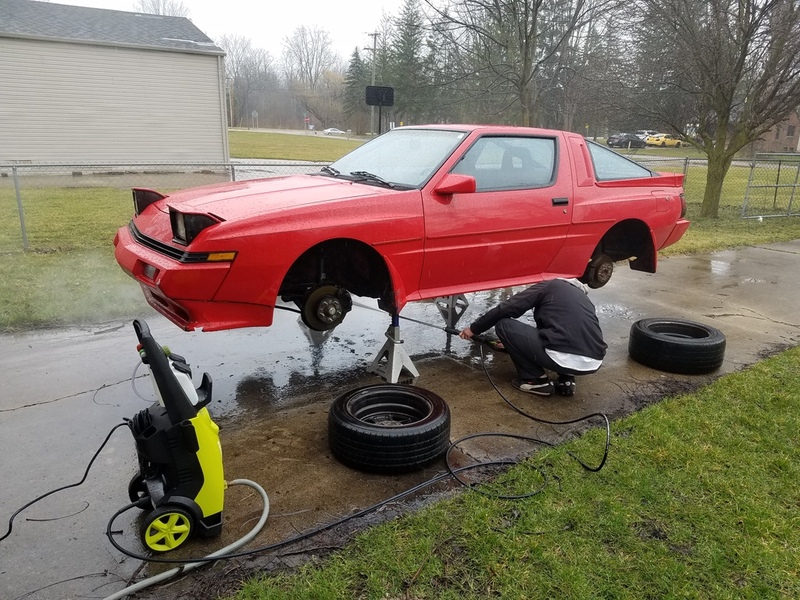 Welcome to the community man, and it looks like you've got a great start on your car. It looks in great shape! Don't be surprised if you get a few people trying to say Starions are unreliable, but don't mind them lol. Cool stuff! Please stay with us here! I want to know more about this racing. What track do you plan to run? are you going to travel the circuit? I'm originally from Belleville & worked at the Rouge for awhile in the early seventies. Your pics look like familiar territory. Would use a mechanical valvetrain though. Well shoot.... very impressive my friend, yes I agree I'd like to see/ hear more of this racing deal. Keep up the great work! Looks wicked. This ain't no piece of dead metal.. 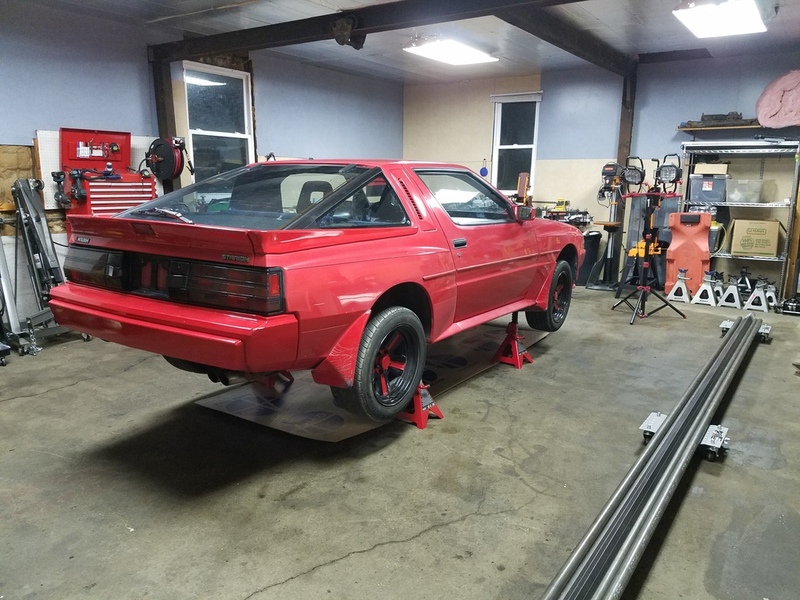 I have a similar thread on the Chumpcar forums (Link to thread) and so far the response has been either "Awesome! 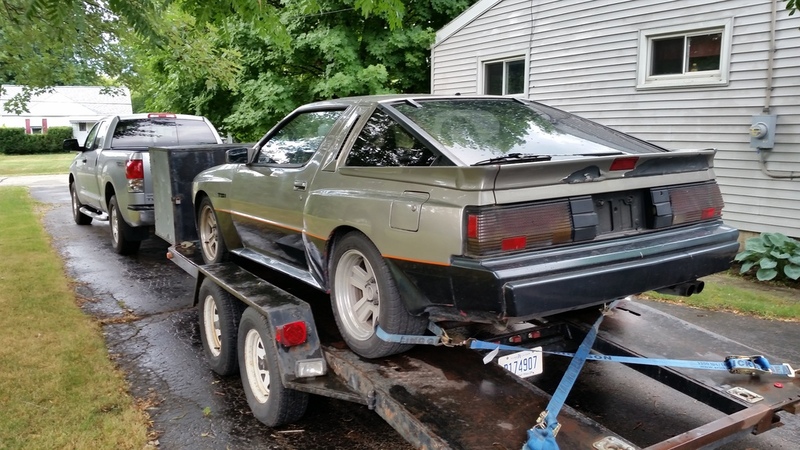 I've never heard of a Starion before" or "That's cool, but its going to break". Overall they seem pretty interested. DSM's have a similar stigma attached to them. I believe with proper engine control, fail-safes, and attention to detail, these cars can be as reliable as any other car. Heat management also seems to be key with road racing turbo cars. One of the most successful teams in the series runs a turbo SAAB 9-3, so it can definitely be done. I should hopefully be around for a while . As much as I want to share this project with you guys, I'm also going to need help. All of you know much more about these cars than I do. As far as tracks go, we'll be doing most of the testing and the Chumpcar race at Gingerman Raceway, but the plan is to visit many tracks including Road America, Pittsburgh International Race Complex (PIRC), Virginia International Raceway (VIR), Road Atlanta, Mid-Ohio, Watkins Glen, and many more. After the car is sorted out, we'll hopefully be doing 4-5 races per year. I'm interested in your reasoning for this. I have not had any issues with hydraulic valvetrains in the past. I like the idea of a maintenance free valvetrain and I also happen to have three sets of the hydraulic setup. Are they a reliability concern? Edited by Scribe, 01 June 2017 - 08:48 PM. This is awesome! Totally excited to see how you like the car and what you think of it. Keep us updated! and goodluck. You will want to upgrade your radiator if you plan power add-on's. The stock radiator is already pushing 80% or so of it's limits for stock street driving. On the track with high rpm's and boost you generate more heat than the stock radiator can physically cool. If you can upgrade the radiator for +10points, I would do that LONG before adding aero pieces. Edited by EricSQ, 02 June 2017 - 11:02 AM. He is very right, to save a bit of cash buy a 240sx radiator and use that. Works great and can be had for a decent price. If you want reference for size etc you can take a look at my build thread (its in my signature). Cant wait to see some more progress. I'm interested in what you come up with for aero! Best of luck! 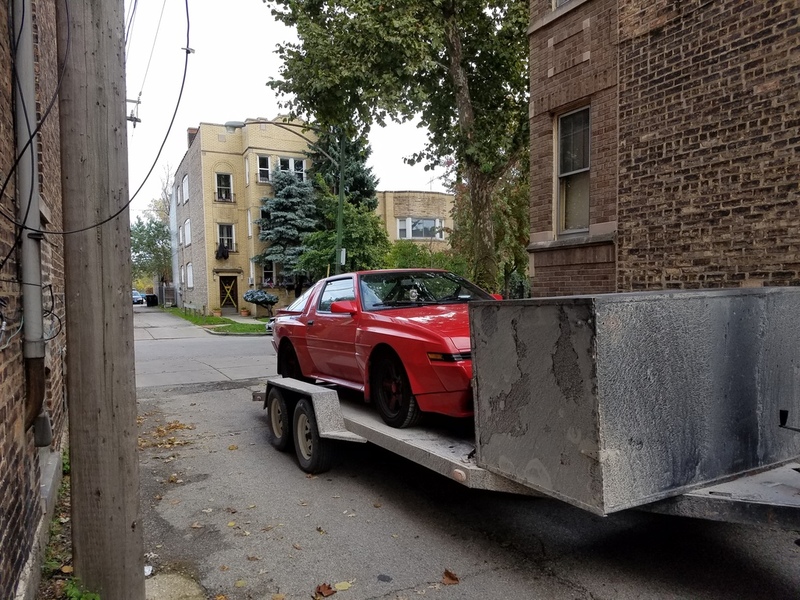 Definatly a radiator and maybe look into turbo hotside upgrades. It will really uncork the motor up top where you will be spending more of your time. Maybe check out the Tdo6SL2. This can use the factory housing. At my day job I primarily design cooling systems for military applications, so I have been thinking about the radiator a lot. In order to understand the cooling requirements of this car, I had to first look into how much power we are planning to make. 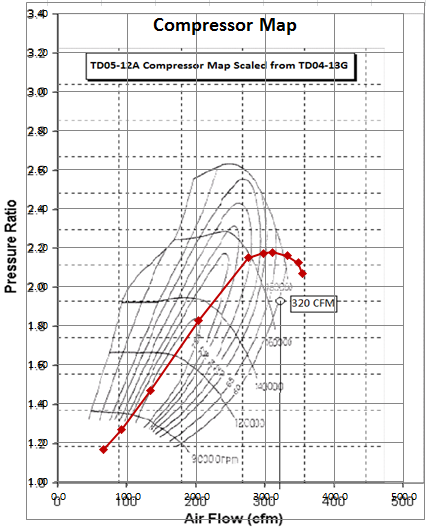 We are unfortunately stuck with the 12A as a turbo upgrade would be 100 points. We have a 14G, but we are going to save it for if we run in a different race series in the future. In order to estimate our expected power levels, I scaled a 13G compressor map to represent a 12A knowing that a 12A flows 320 CFM and a 13G flows 360 CFM. Using the dyno numbers we got, as well as other posted stock Starquest dyno numbers, I estimated volumetric efficiency and BSFC numbers to try to come up with boost targets for different power levels with the 12A. 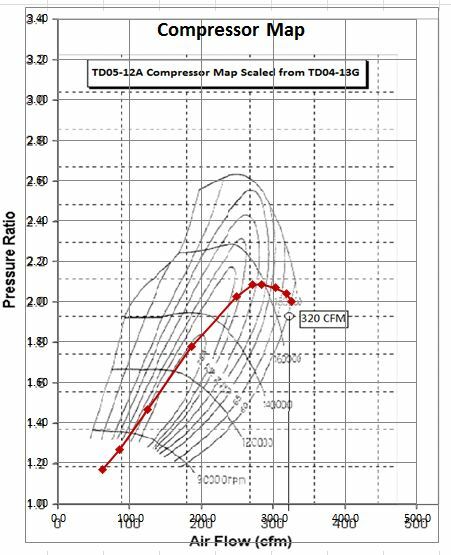 I found that 200-210 whp at ~15 psi was possible assuming increases in volumetric efficiency with a less restrictive intake and exhaust. This also kept us right on the edge of the scaled compressor map. 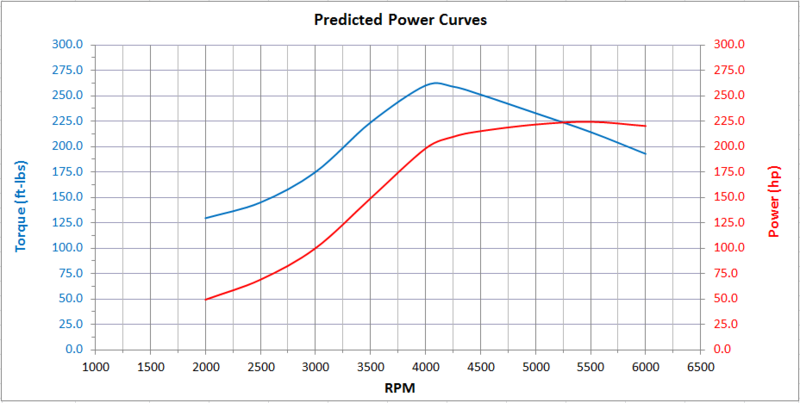 We determined that 200 whp was most likely the max we would want to push in an endurance racing setup. However, the actual power we plan to run the car at will be highly dependent on fuel consumption. The Chumpcar rules dictate that the maximum amount of time a driver can be in the car continuously is 2 hours. Most teams stretch their fuel stints (for those of you unfamiliar with this term, a stint is the period of driving between pit stops) to 2 hours so they can refuel and change drivers at the same time and spend the least amount of time in the pits during the race. When you take fuel in a pit stop, the minimum pit stop time is 5 minutes. If you are able to re-fuel the car in 2 minutes, you have to wait till the timer they put on the car hits 5 minutes before you can leave the pit lane. If you come in for just a driver change, there is no minimum time on the pit stop. With this in mind, some teams have started to build cars capable of 4 hour fuel stints, so they only have to do a full 5 minute pit stop once every 4 hours and do shorter 1-2 minute stops for driver changes in between. Saving 3 minutes in the pits every 4 ours can be worth about 1.5 seconds a lap on track, which can be hard to make up when there are 100 other cars on track that you have to get by. With all of that in mind, it is safe to say that the bigger your fuel tank is, the bigger your advantage in Chumpcar. 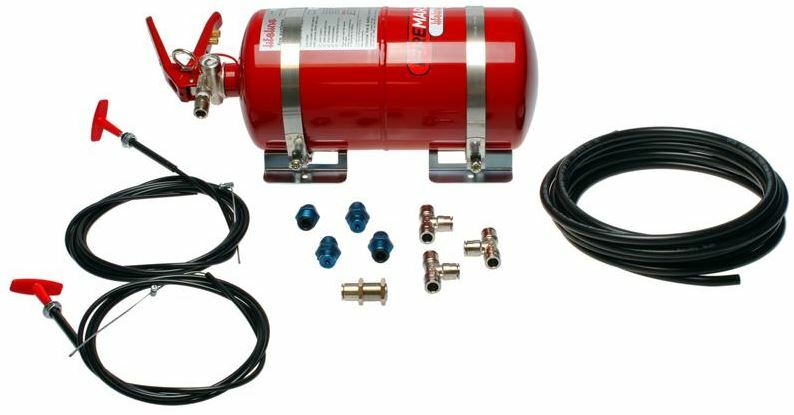 Chumpcar limits fuel tank size to the stock fuel tank size + 2 gallons. They also allow you to add a 0.5 gallon surge tank/swirl pot. You can also have a 2.5” ID filler neck to the fuel cell, so even more fuel can be stored there. 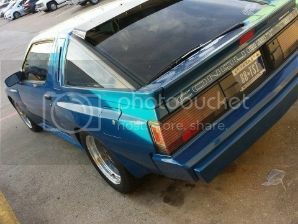 The Starion having a 19.8 gallon fuel tank is one of the main reasons we chose it. This allows us to run a 22 gallon fuel cell assuming 2% (0.44 gal) will be taken up by the anti-slosh foam. Add the surge tank and filler neck and total capacity should be around 23 gallons. In order to be able to run 4 hours on fuel, we would need to burn less than 6 gallons an hour. With enough red and yellow flag periods, this may be possible, but not at full power. Chumpcar also runs a lot of different race formats from 7 hours to 24 hours. They even occasionally throw a 36+ hour race in there every once in a while. We feel that our best bet would be to try to run 3.5 hour fuel stints at 7 hour races and run 2 hour stints in 2+ hour races. This means turning the car down to around 10 psi (about 180 whp) at 7 hour races to make 3.5 hours. This also means that there will be an excess of fuel at 7+ hours races. In order to use up the extra fuel capacity, we plan to run E85 at the longer races. E85's higher octane rating and it's cooling effect on the intake charge will allow us to run slightly higher boost and timing advance. This will hopefully allow us to bump the power up to 220-230 whp. This will push us off of the compressor map, but the cooling effects of E85 will make up for the loss in efficiency. With most of the competitive cars in Chumpcar running around 150 to 200 whp, 230 whp should be a big advantage if we can make it last. 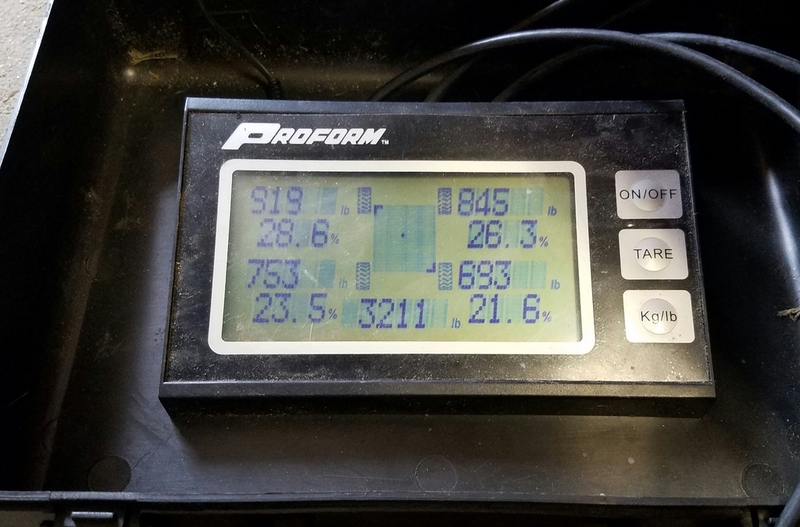 Going back to cooling system calculations, I decided to use 210 whp for the calculations as it is the max power we will be running on 93 octane gas. You tend to reject a lot less heat to your coolant when running E85 due to lower combustion temperatures, so I thought the gas scenario would be the worst case. 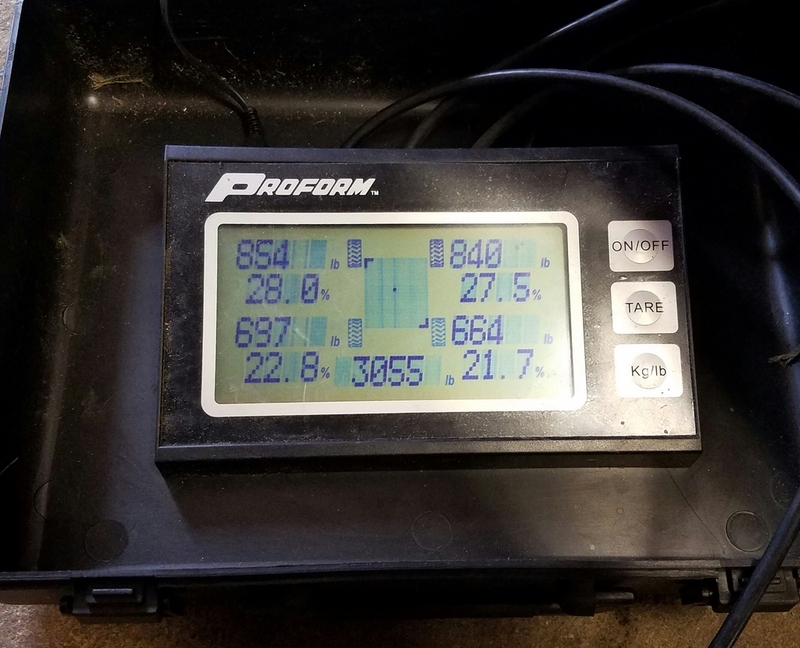 Estimating about 20% of total power being rejected to the coolant and 10% being rejected to oil, I was able to come up with steady state temperatures of 209 deg F and 220 deg F for the coolant and oil respectively at 70 mph air speed and 100 deg F ambient temperature. 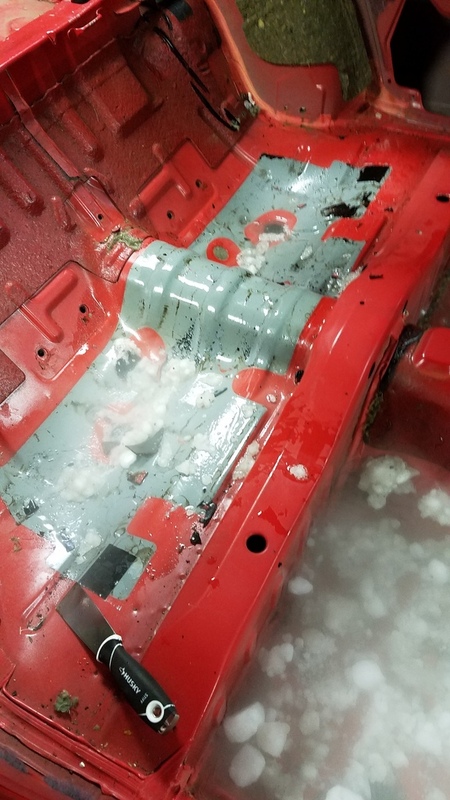 The issue I was running into was at speeds lower than 65 mph, the coolant temperatures were calculating out to be too high. This data sheet listed the exact dimensions of the Starquest radiator including the fins per inch. Assuming you are not airflow limited, more fins per inch almost always means a more efficient radiator. I was finding that all of the OE-replacement radiators had less fins per inch and usually compensated by having a thicker core. A thicker core is not always the best answer as it can increase the pressure prop of air across the core, thus limiting the airflow through the core. Header plate and tube design can also play a large part in a radiator’s efficiency. From what I have seen in the past, an OE radiator is usually best until you start getting into aluminum racing radiators. Since we don’t have 20 pts to spare, the factory radiator will have to do. 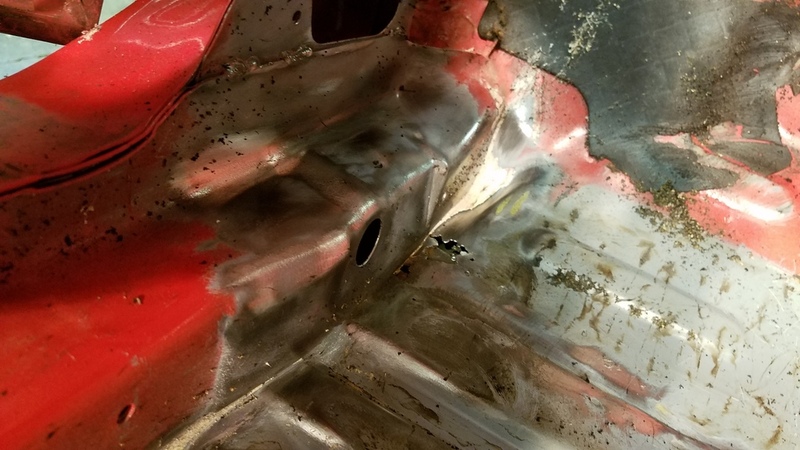 Fortunately, the OE Starquest radiator has brazed metal end-tanks, which send to be more robust than plastic ones when it comes to racing. This leaves us with one option: increase airflow. We are planning to do this in two different ways. The first is to open up the front grill area as well as add ducting to the area around the intercooler to direct air towards the oil cooler and radiator. 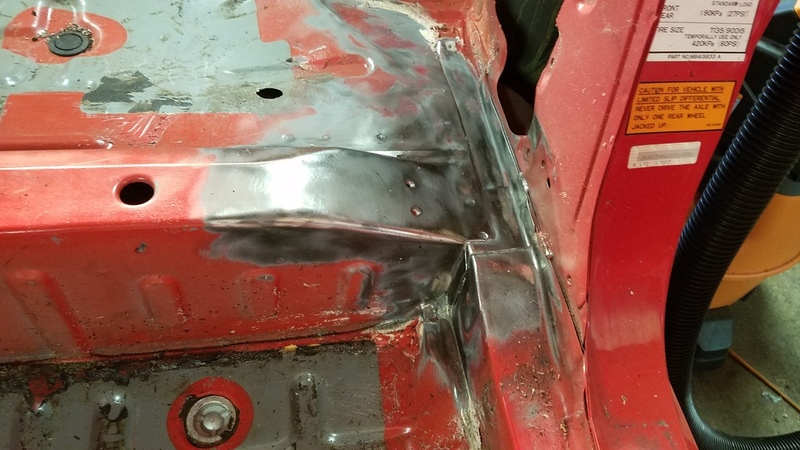 We will also add an outlet duct for the radiator that will be attached to the hood and will vent out of the hood. This will require us to lean the top of the radiator forward, which will be made possible by getting rid of the AC condenser. Getting rid of the AC condenser will also help airflow. The second part of the plan is to install two very efficient brushless SPAL fans behind the radiator. These fans are fairly new to the market and are currently only available through SPAL directly. These fans flow very well at high pressure drops which can be useful when you have to pull air through a stack-up of an intercooler, oil cooler, and radiator. 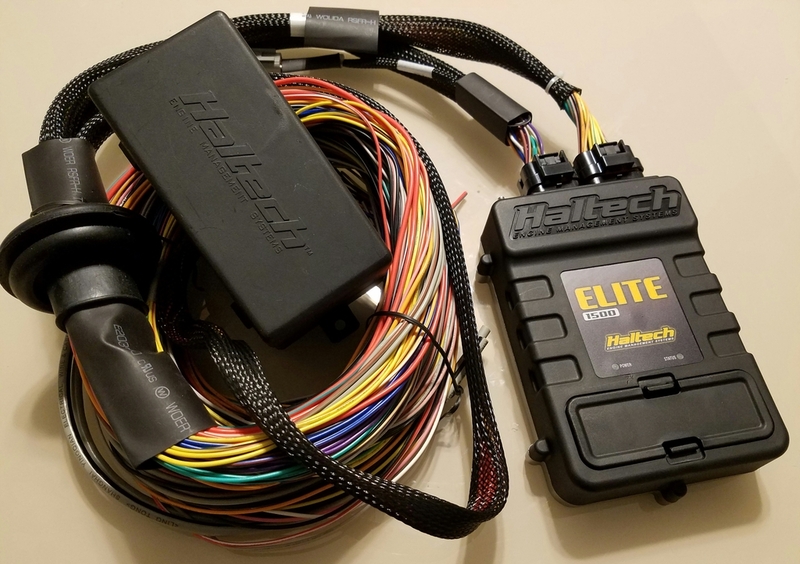 They also have variable speed controllers built in, so we can control their speed with the Haltech Elite in order to reduce power draw when we don’t need full fan speed. The ducting should help with cooling at high speeds and the fans will take care of low-speed cornering, pit stops, and full course caution periods. 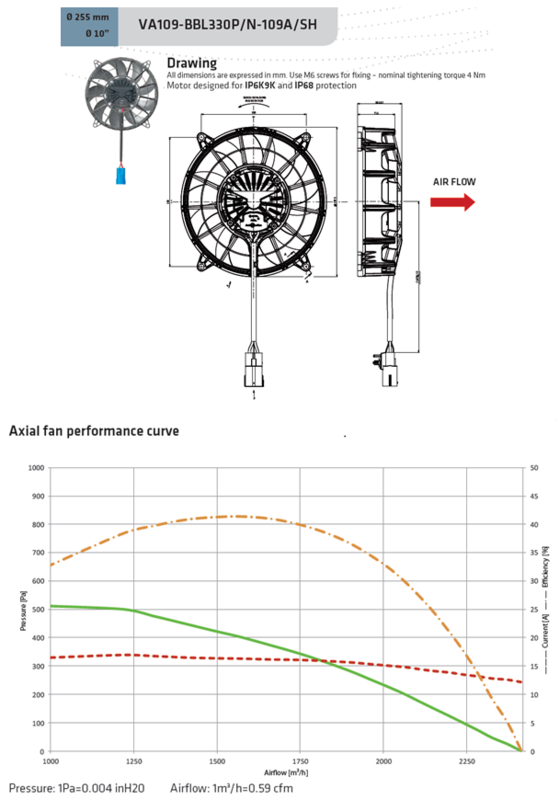 According to my calculations, the two SPAL fans together flow enough air to be equivalent to driving at 70 mph, so hopefully all of our cooling problems will be solved! We are also required to run water for coolant, so this will help the cooling system a little bit over a 50/50 antifreeze mix. We will also be running Redline Water Wetter, which should also help a bit (and it is legal). We also be running a 180 deg F thermostat. The best part of all of these modifications is that they do not cost any points! I know that was a long way to go to explain why and how we were going to run the stock radiator, but I enjoy thinking through every component we chose to use on the car and I thought I would share that process with you guys. Let me know if you have any comments, questions, or critiques. My calculations could be wrong and the only way to prove them right is to get this car on the race track! Edited by Scribe, 03 July 2017 - 02:17 PM. 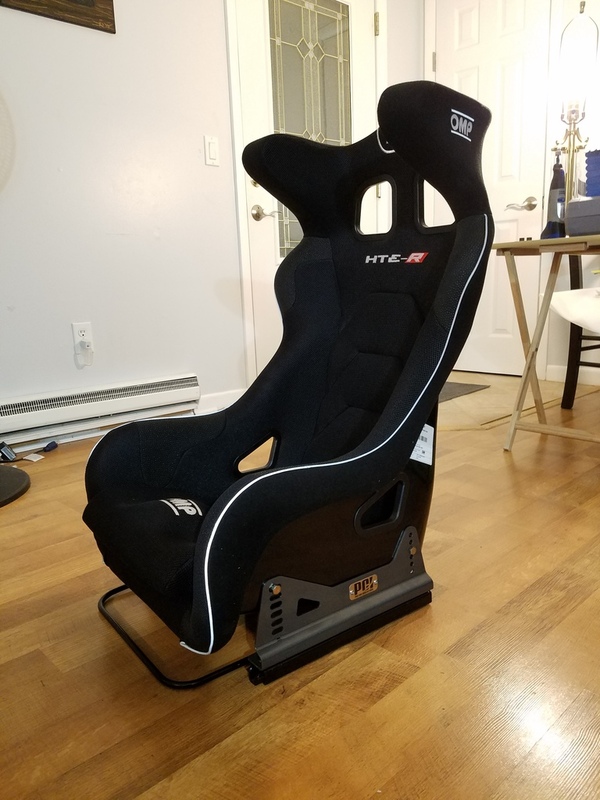 This is cool stuff and I hope you stick around and continue to keep us posted on the build and racing. Sounds like you have the radiator idea well thought out. I'm sure with your flow mods and a good clean rad things will stay cool. We also made some progress on the car over the weekend. 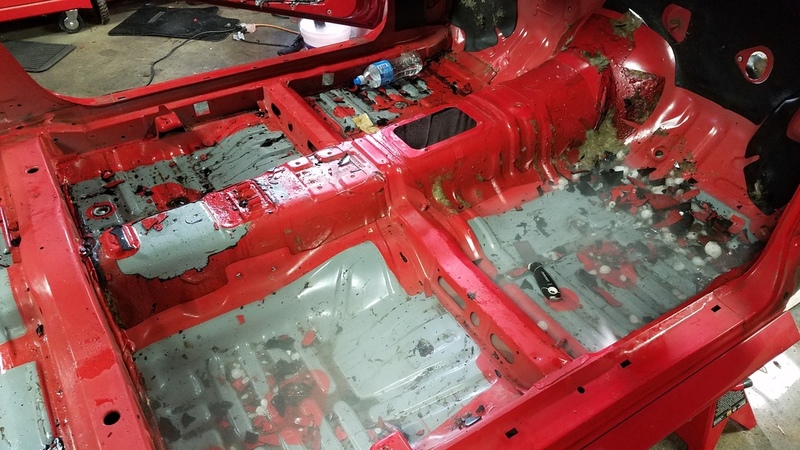 The main accomplishment was removing all of the sound deadening. 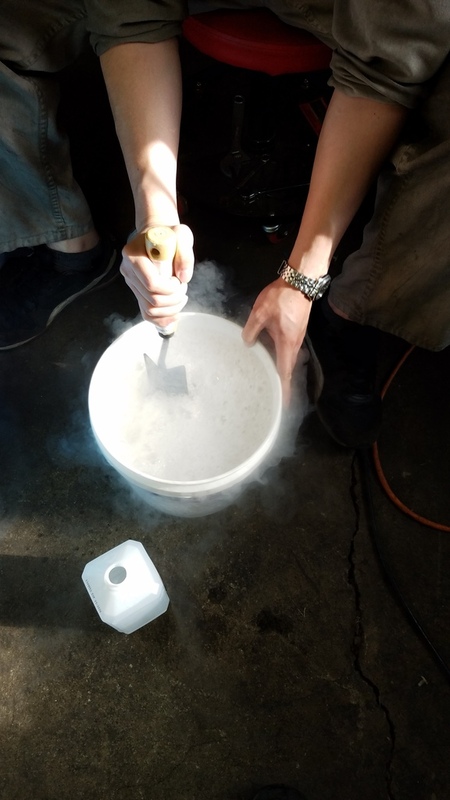 We used the dry ice and rubbing alcohol trick. I'll go through the steps in pictures for those of you unfamiliar with this. 5. 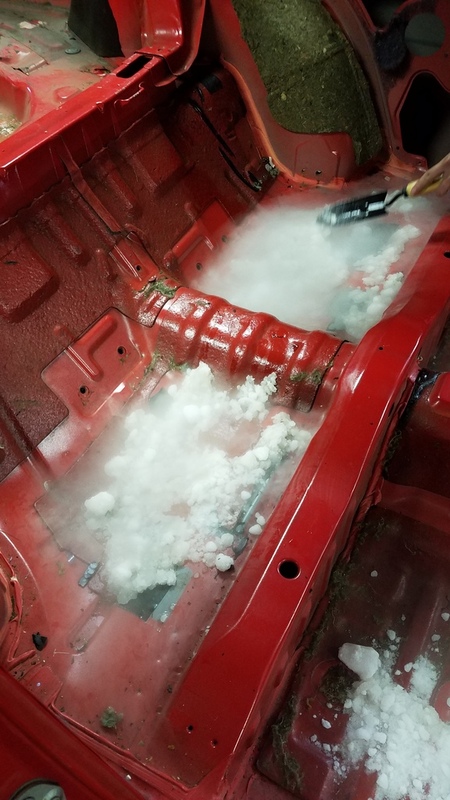 We then put the remaining dry ice we had in a trash bag and held it against the areas of sound deadening that were not flat like the transmission tunnel and back seat and chipped away at it after hearing it pop a few times. 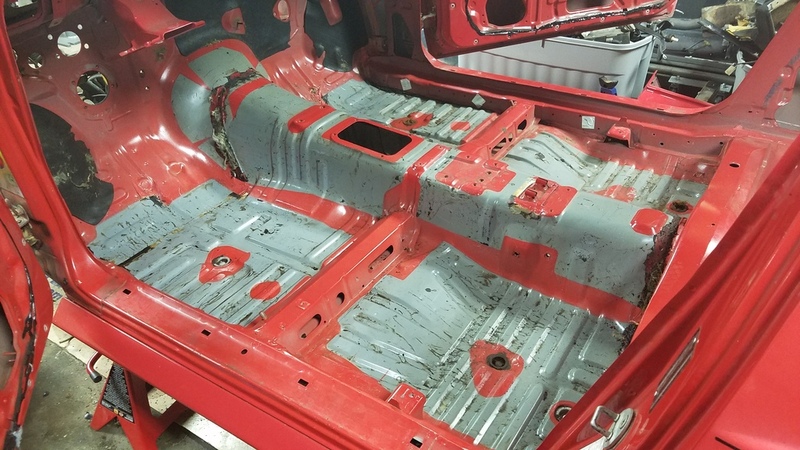 There were a few areas where the seam sealer seeped into the sound deadening that gave us trouble, but were were able to remove that with an angle grinder and knotted wire wheel. 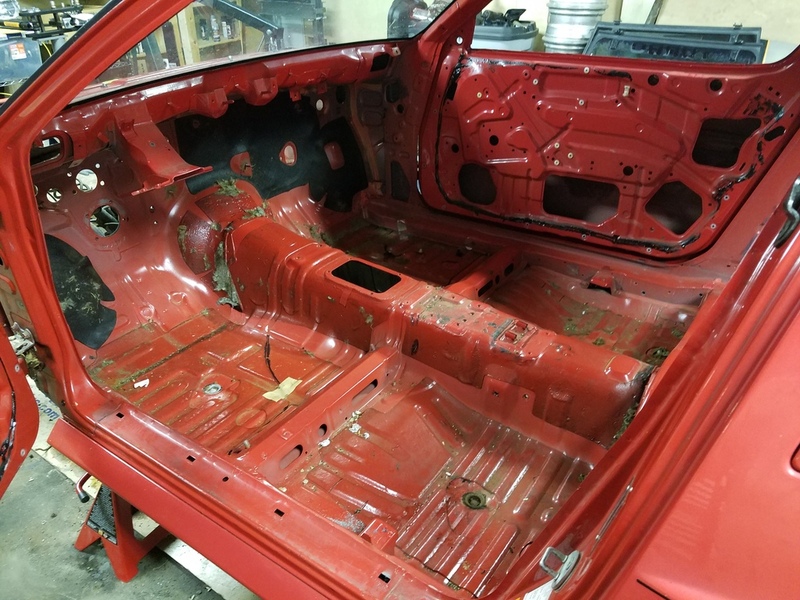 After the sound deadening was removed, we started prepping the areas where the cage is going to be welded in. We did manage to find a little rust under the seam sealer in the driver's side foot-well. We will patch it up as necessary. We are hoping to have most of the tubes bent up this weekend. 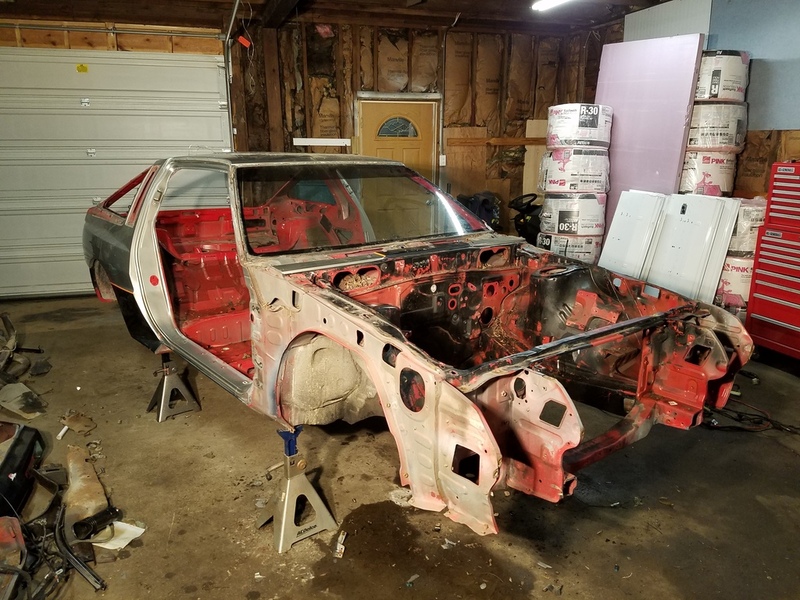 The plan is to weld the cage in, send the chassis out for acid dipping to remove any rust, undercoating, and seam sealer, and then stitch weld the seams in the chassis for added strength and safety. 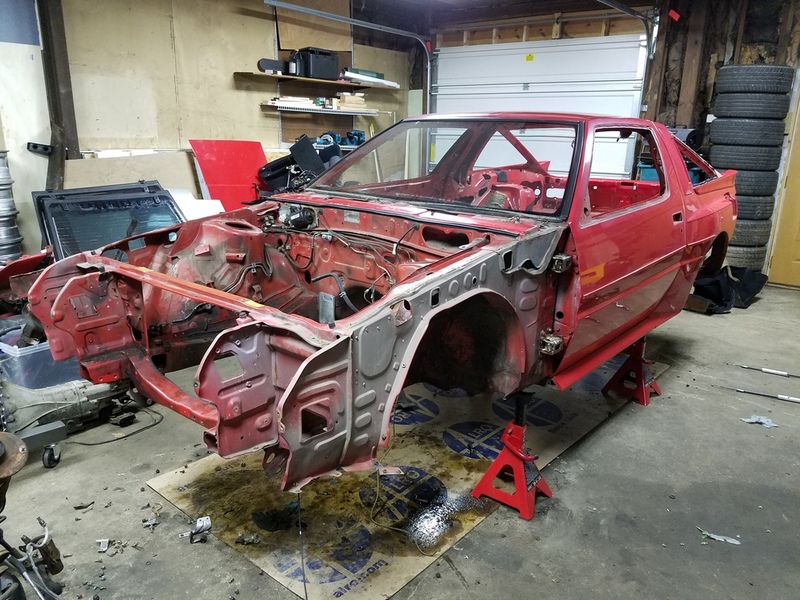 Since the paint will all be stripped off during the acid dipping, we plan to paint the car to look like the #91 IMSA Starion. Since the wing will be removed prior to dipping, it will still be red just like the old race car! Edited by Scribe, 03 July 2017 - 02:21 PM. This is shaping up to be a really cool build. Keep up the good work guys! 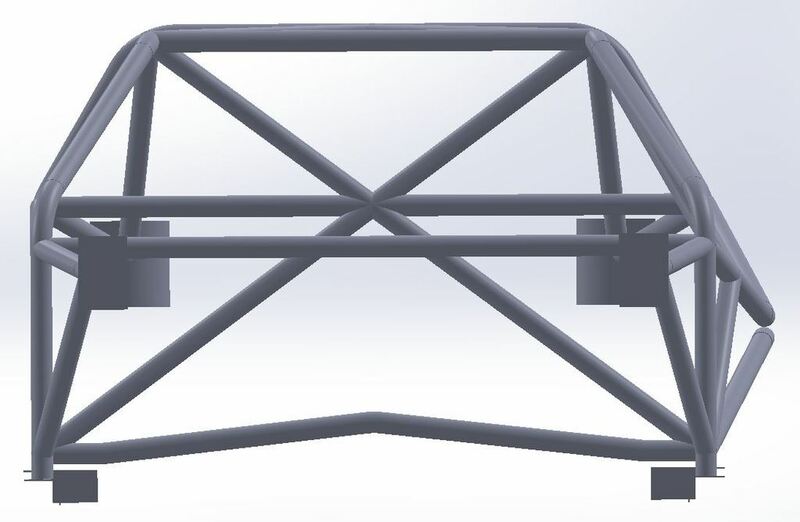 There are a few more bars we would have wanted to add like one connecting the two rear strut towers together, but it would have cost us 10 points. 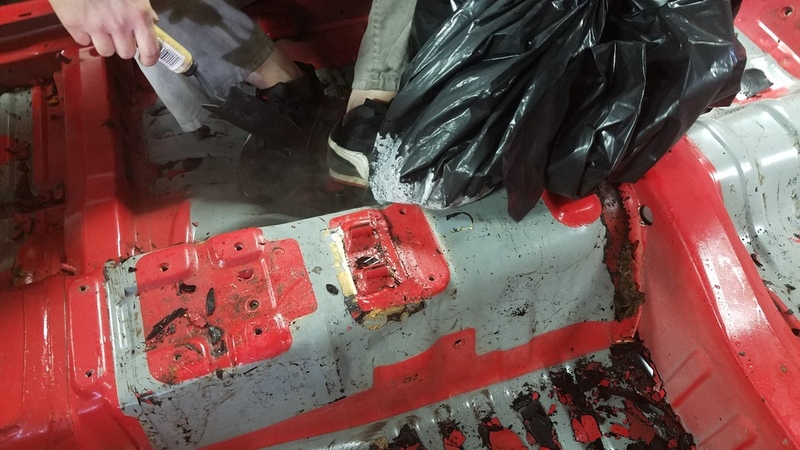 Since we don't plan on ever having any passengers in the car, we decided to focus most of the protection around the driver, while trying to stiffen up the chassis as much as possible. We also did not want to add too much weight. The cage picks up both the front and rear strut towers and ties into the interior side frame rails. 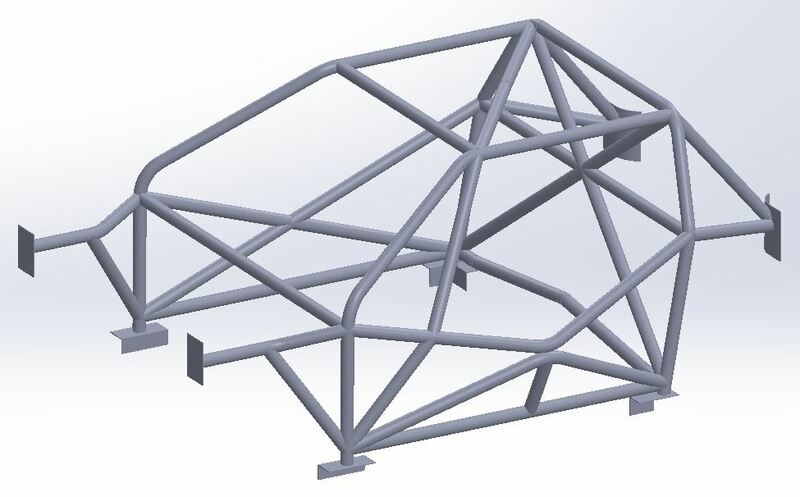 We also plan to make a seat support structure that ties into the cage. All tubes are 1.75" OD, 0.095" wall DOM tubes and the mounting plates are 10 gauge (0.135 in.) 1018 steel. 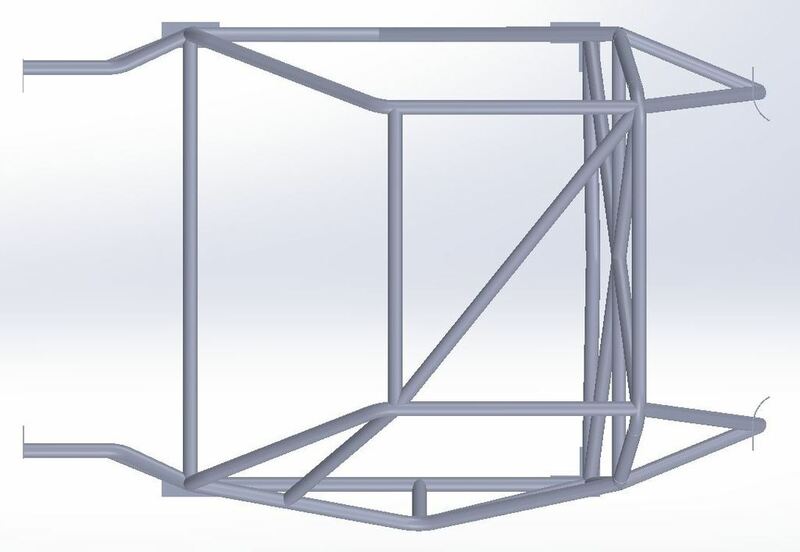 The seat support structure will be made from 1"x1.5" 0.120" wall rectangular A514 tubes. I'll keep you guys updated on the progress as the cage comes together. Edited by Scribe, 03 July 2017 - 02:23 PM. Hefty cage. Seems over kill to me for it's intended use. Can you upgrade your turbine wheel? 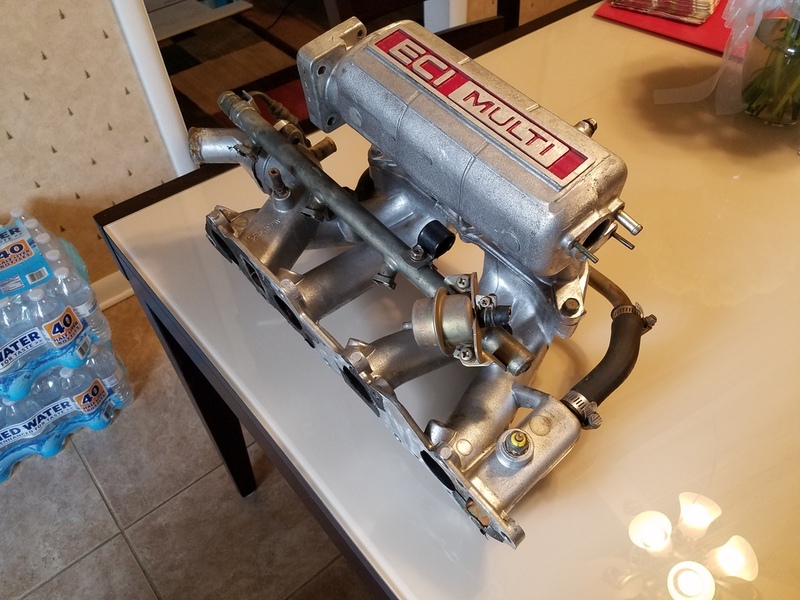 What are the specific rules regarding the turbocharger. The exhaust will be you biggest problem.